Fulfilling the utility of inspecting filled or empty bottles, containers etc in diverse industries are high-quality yet economical Hood Type Inspection Systems offered by us. 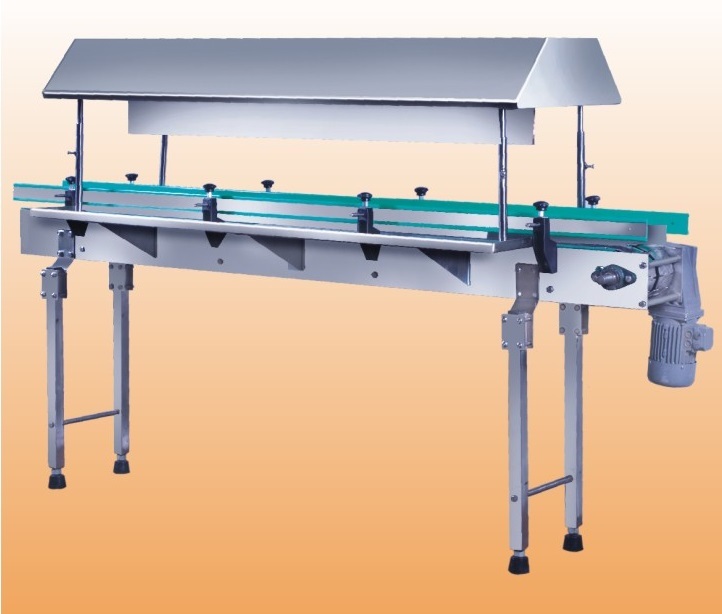 Situated in Delhi, we are associated with #1 league Manufacturers, Suppliers and Exporters of Semi Automatic Hood Type Inspection Systems around the globe. Our team maintains stringent controls at every production phase, in order to ensure quality and productivity of these machines. Inspection of empty / Filled Transparent Bottles / Jars / Containers on semi-auto / Automatic packaging lines. Drive : Variable S.S. Drive Box with gear Box / Imported variator-Drive. Length : 6 / 8 / 10 / 12 / 15 ft. or as required.